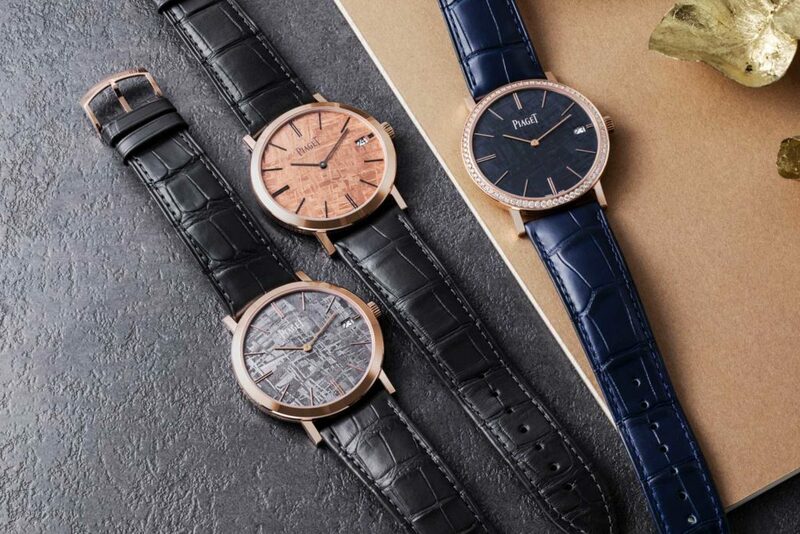 At SIHH 2019, Piaget presented three new Altiplano models to showcase varied aspects of its watchmaking expertise: ultra-thin watchmaking, gem-setting, and working with hard stones. Here’s a closer look with images from our photography team. 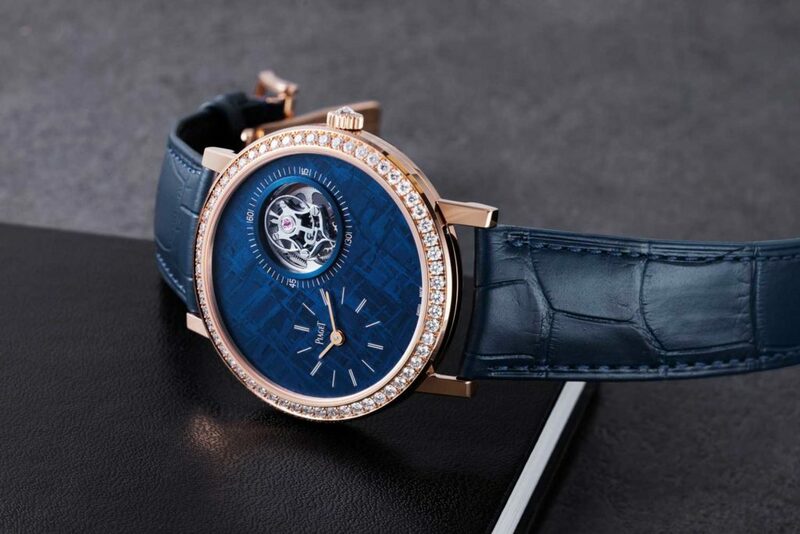 In 41mm pink gold case, with blue meteorite dial and a flying tourbillon at 2 o’clock. 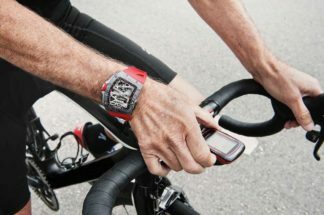 The bezel is set with 85 diamonds (1.59ct), and within, the manual-wind ultra-thin tourbillon 670P is only 4.6mm thick, with a power reserve of 48 hours. In a limited edition of 28 pieces. 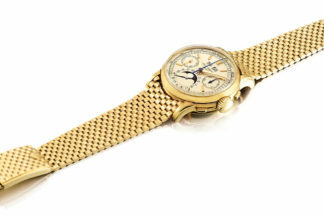 In 40mm pink gold case, with meteorite dial, driven by the self-winding cal. 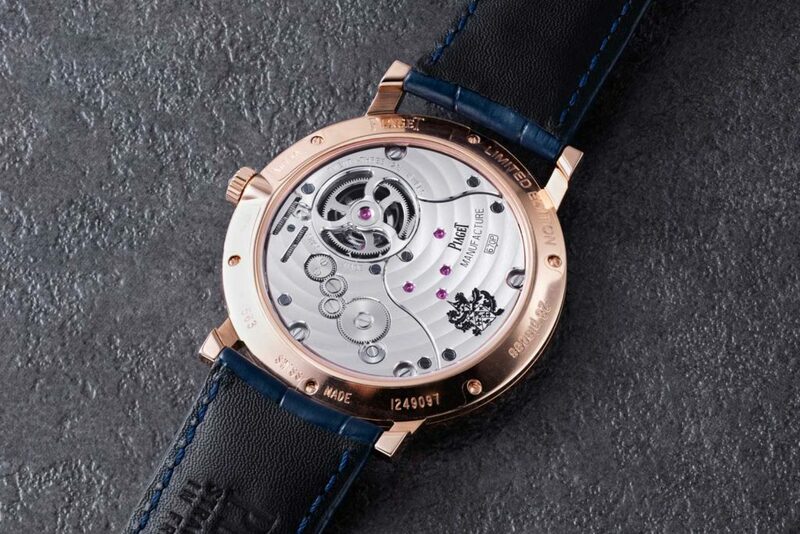 1203P with micro-rotor that is just 3mm in thickness, with 44 hours of power reserve. 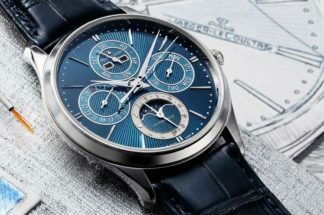 Version with grey meteorite dial is limited to 300 pieces; gold-colored meteorite dial version is limited to 50 pieces. 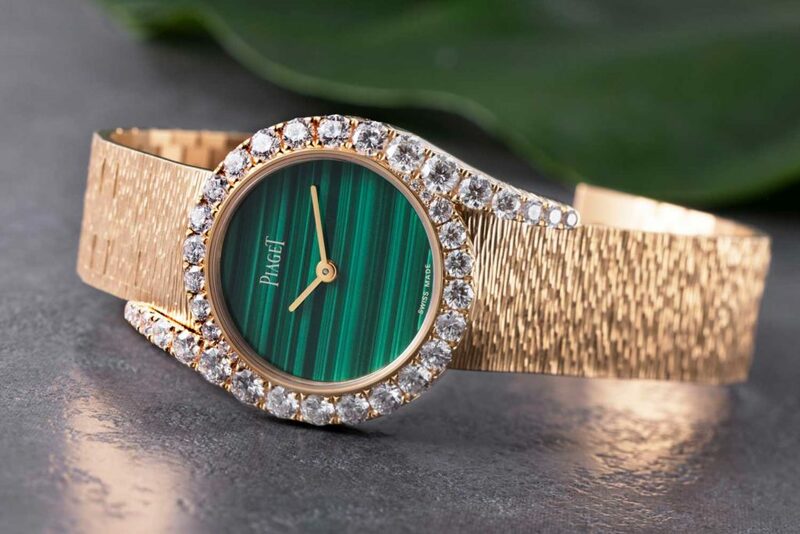 This latest addition to the Limelight Gala collection stuns with hand-engraved bracelet in pink gold, diamonds and malachite dial.